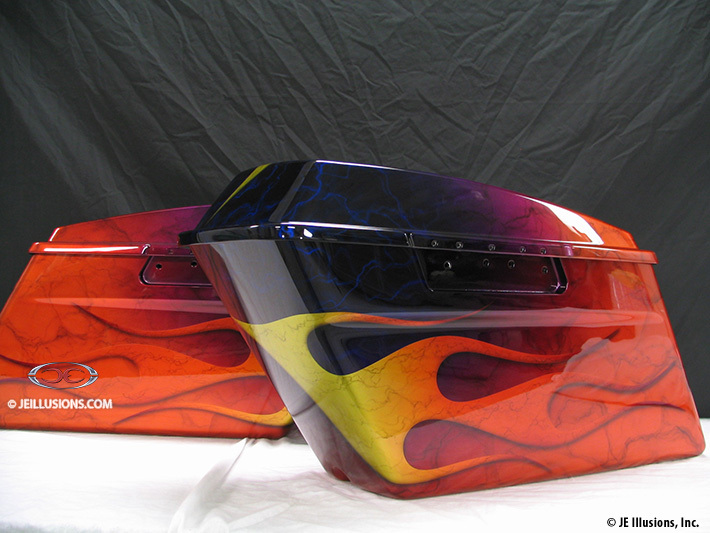 This set of baggers has a lot going on, featuring some of our custom hand air-brushing techniques. 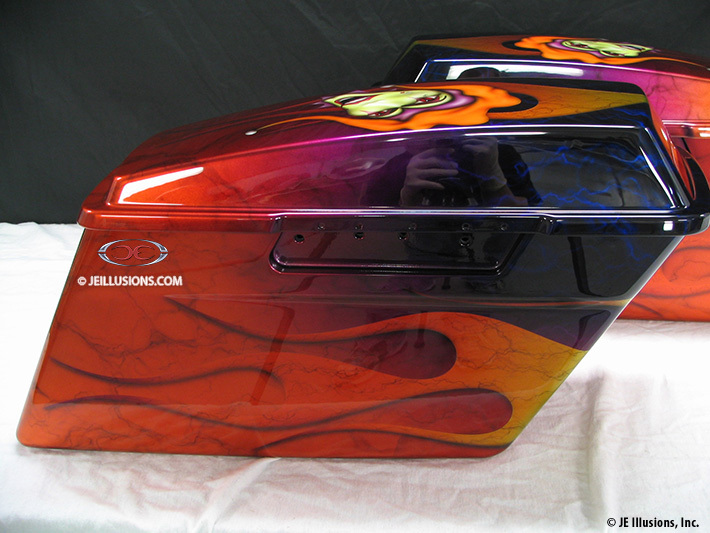 From jet black with royal blue lightning effects, fading into a purple hue and then into ultra-orange with our custom marbling techniques to the classic flame design on both sides of the baggers. The flames fade from yellow to orange, so they blend in with orange on the background, and also feature the marbling in them as well. A drop shadow effect helps separate the flames from the background. 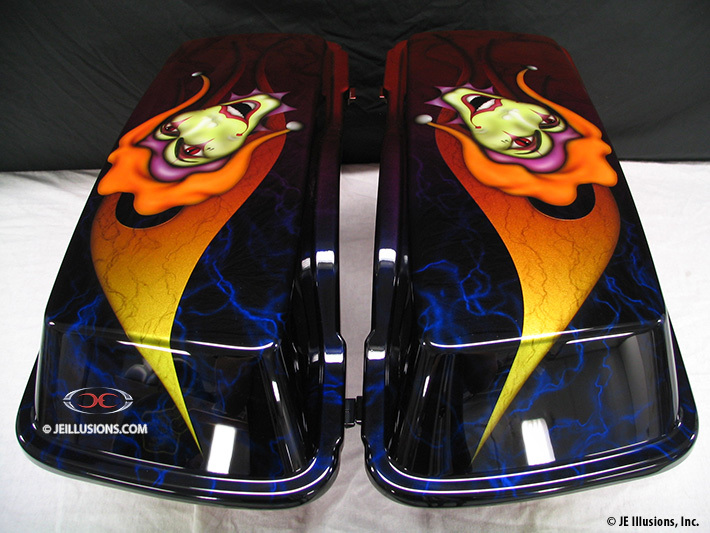 On top of the baggers is a nicely, hand air-brushed joker head done in multiple colors, that really jumps out from the rest of the design. 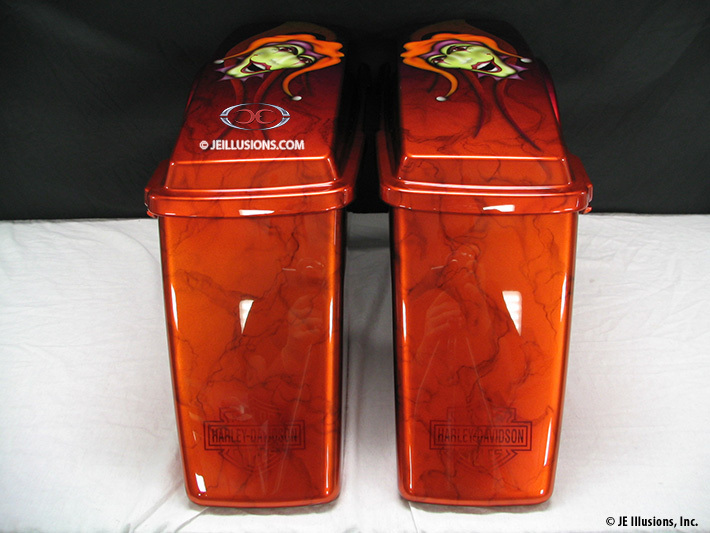 On the back of the baggers is a ghosted Harley-Davidson logo.